September 11, 2014 Robert A. Weigand, Ph.D. 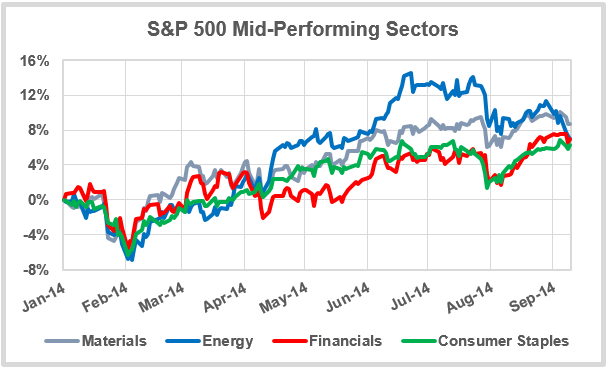 Thus far in 2014, sector performance suggests more of a risk-off, reach-for-yield stock market, with Health Care and Utilities decisively outperforming more risk-on sectors like Energy, Industrials and Consumer Discretionary. 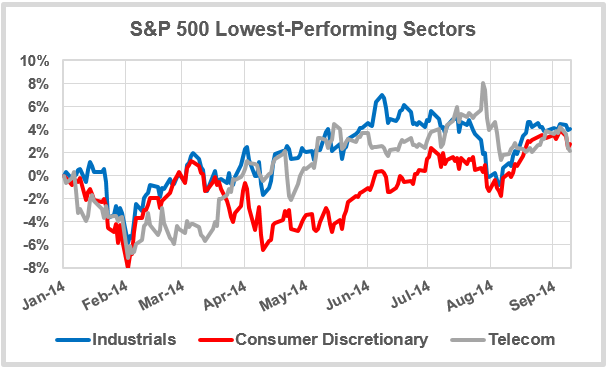 It is also noteworthy that typically-safer Consumer Staples stocks have outperformed Consumer Discretionary stocks. 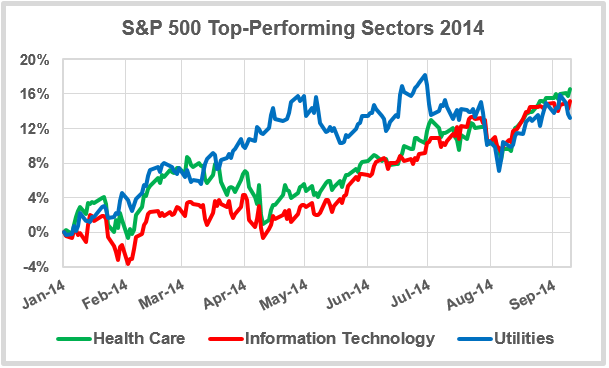 Although sector performance such as this is not unusual following the outsized gains stocks posted in 2013, it suggests a slightly fatigued, over-extended market overall. With the Fed more likely to continue leaning towards a more hawkish stance on further stimulus and the level of interest rates in its upcoming meeting, stocks appear as vulnerable for a correction as they have all year. 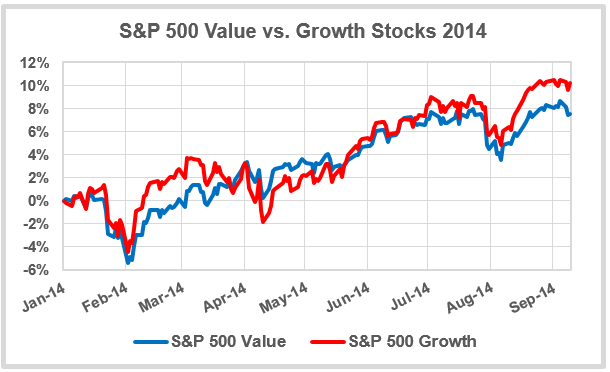 Inside the Leading Indicators: Slow, Steady Growth Likely to Continue Can Chanting “Accelerating Growth” Long and Hard Enough Make GDP Grow Faster? ?